One-point-three billion dollars annually and that amount will probably grow, because everyone involved is becoming that much more oh-so peace-loving with every passing day. U.S. Secretary of State Hillary Clinton will open the way to resuming $1.3 billion in annual military aid to Egypt, AFP reported. “Secretary Clinton will certify that Egypt is meeting its obligations under its peace treaty with Israel.” AFP quoted a senior State Department official as having said in an email. The move will free up $250 million in economic aid that had never been in serious question, the report said, noting Clinton would also waive requirements on whether Cairo is making progress towards democracy to allow for “the continued flow of foreign military financing to Egypt,” according to the official who asked to remain anonymous. Senator Patrick Leahy, who sponsored the legislation that tied conditions to aid, said Thursday he was “disappointed” by Clinton’s decision. “I know Secretary Clinton wants the democratic transition in Egypt to succeed, but by waiving the conditions we send a contradictory message,” Leahy was quoted by AFP as having said in a statement. 1. Did you expect anything less from The Jihadist At 1600™, his Totalitarian administration and assorted sycophants ? 2. 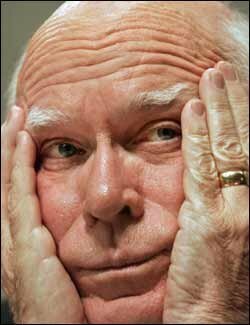 Senator Leahy is a typical Democrat leftist who couldn’t care less about and more than likely supports American money funding a coming genocide against The Jewish People (a.k.a. typically bitter and clinging Muslim behavior). All he cares about is Egypt “harassing and arresting those who are working for democracy” — a.k.a. ‘Coexist’ Leftists and Soros-funded one-world Totalitarian promoters. 4. New tone of civility ?……. No more…… These people are traitors, aiding and abetting the enemy of freedom and life itself. The American people (especially Jewish-Americans) and what remains of sane media need to call out evil where it resides. But American Idol and Dancing With The Stars are in full swing, so it’s a good bet this won’t even be reported or noticed……… on purpose. * Click here for a video presentation that may explain a lot. And for a really cool thing to do…… Follow America Israel Racing On Twitter…… Boogidee boogidee boogidee… Let’s go racin’ Israel ! This entry was posted on Friday, March 23rd, 2012 at 06:25 and is filed under Main Postings, The Constitutional Watch, The Media, The Second Amendment To The Constitution Of The United States..	You can follow any responses to this entry through the RSS 2.0 feed. You can leave a response, or trackback from your own site.